“I feel so alone,” I told my husband in a recent hormone-induced crying spell. In my late third trimester of pregnancy, I had been crying quite easily over small things, but this time my tears fell because of a heavy burden of loneliness I felt on me. Alone when I contemplated the rejections and slights that had seemed to pile up the last year as I did what God asked of me. 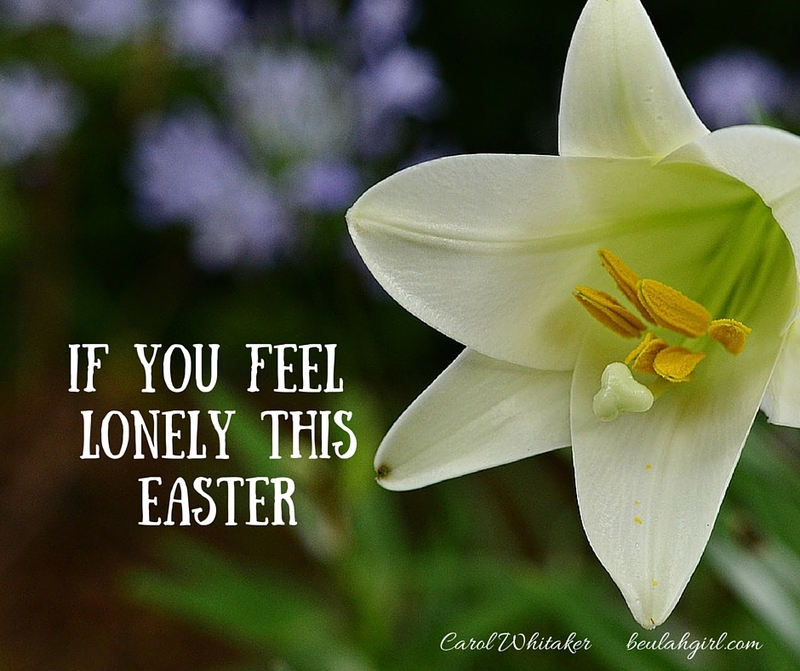 Jesus knew loneliness in his journey to the cross. However, as relayed in Matthew 26-28, although much attention is often given to those that opposed Him and betrayed Him and the suffering He went through (and rightly so); He was also defended and aided by His heavenly Father. Later in the passage, a man whom apparently none of the disciples even knew provided a place for Jesus and His disciples to eat the last supper. The Luke account says that an angel came down in the Garden of Gethsemane to strengthen Jesus when his disciples could not be counted on (22:43). After Jesus’ death, a rich man named Joseph, who had become a disciple of Jesus, asked Pilate for Jesus’ body, wrapped it in a linen cloth, and placed the body in his own tomb that he had just cut out of rock. When Jesus was brought before Pilate, Scriptures tell us that He was silent when accused, and they were amazed that He did not respond to any of the charges they brought against Him. He was mocked by the soldiers, the crowd, the religious priests — who all told Him in various ways that He should save Himself and prove He was the Son of God. But Jesus did not speak. However, what we can observe is that God’s defense was all around for the observant one taking note. When Pilate questioned Jesus, he received a message from his wife imploring Pilate to let Jesus go as she had had a dream about him that day. Pilate himself knew the religious leaders had a personal agenda. After the message from his wife, he washed his hands in front of the crowd to let them know that he had reservations about their accusations and didn’t want Jesus’ blood on his hands. Not only was evidence of Jesus’ innocence given through the words and actions of people, the natural world gave further witness. The afternoon that Jesus died, darkness came over the land from noon to three; “the curtain from the temple was torn in two from top to bottom”; and an earthquake shook the earth so that tombs opened, and “the bodies of many holy people who had died were raised to life” (Matthew 27:45, 51, 52). Clearly, the religious leaders were doing all they could to make sure that the people did not believe that Jesus was the Son of God — but what they didn’t realize is that they were trying to minimize God’s plan and power. As is apparent in the passage — no man is able to contain His power. As I touched on in my previous point, just as Jesus had said, three days after He died, He rose again. After a violent earthquake, an angel of the Lord came down and rolled back the stone on the tomb and sat on it. Mary Magdalene and another Mary found the tomb empty and the stone rolled away. The guards that Pilate had sent were afraid and went and told the chief priests what they had seen (yes, the very priests who had mocked Jesus’ claim that He was the Son of God). We can know that we may be persecuted and opposed as we do what God asks of us — but God is not derailed by human schemes. His plan will be accomplished whether people believe us or not. Perhaps this Easter, you feel some of the same emotions our Lord did when He was crucified. Perhaps you feel marginalized, misunderstood, or mocked. Perhaps as you have attempted to give the message God wanted you to or walk in the path He has laid out for you, you have faced loneliness, rejection and scorn. Editor’s note: Correction was made to statement about the guards leaving and doing nothing to stop Jesus out of fear. This was a misstatement as the guards were afraid of the angel, but account in Matthew makes it clear that Jesus was already gone (by angel’s words) when the guards saw the angel and stone rolled away. When I was a high school English teacher, one of the activities I liked to do with students when reading poetry was an annotations, or close reading, activity. Basically, I grouped students, assigned them a poem to read aloud together, and then gave them a short list of items they were to look for and write notes on in regards to the poem. They had to take notes on the speaker, tone, word choice (or words they didn’t know), figurative language, and so forth. All of these notes that they took would be hand-written on the copy of the poem and would help lead them to a conclusion about the poem’s meaning. Slowing down and analyzing every word of the lines helped them to be able to grasp the meaning on a deeper level. The same exercise can be applied to Scripture. When I take the time to examine a few lines, I am able to grasp the meaning in a deeper way than I have before. Right away, the psalm presents us with a description of a godly person — and, at first, the description is negative in the sense that we are told what a godly person is not. The person is “blessed” who does not walk, stand, or sit with sinners. In a devotion, author Dorothy Valcàrcel helps to illuminate my understanding of this word “blessed.” I often think of “blessed” as meaning blessed in terms of financial gains or material goods, but she rightly points out that in this context it means spiritually prosperous. What we can note about this description is that the psalm isn’t telling us to avoid all contact with the world in a pharisaical sense. We are not told here never to speak to unbelievers or people that would be considered worldly. What it is telling us to do is to not participate in the behaviors described or allow ourselves to be unduly influenced by those who are ungodly. Let’s note what actions the psalm cautions against: listening to the counsel of the wicked, walking (taking part in) the schemes of the wicked and mocking or showing disdain for Christianity and the Gospel. Again, I don’t believe that the psalm gives us these behaviors so that we can carry a checklist around and consider ourselves holy if these “requirements” are met. However, it does make it clear that a godly man is one who does not allow the ways of the world or the wicked to influence his thinking or actions. What we should also observe here is that the behaviors described in the psalm that the godly person should avoid are those that the person may fall into quite unintentionally. This person may not have set out to be opposed to God or engage in wicked actions; however, this person allowed himself to be led away by a series of actions on his part that may not have started out looking so bad but ended up being quite wicked. We have all had the experience of observing individuals who gradually fell away from righteous living and got involved in things they shouldn’t have been involved in. Perhaps we noticed at first that they began to hang around different friends and dress differently. Then we perhaps noticed that they began to talk differently and act in ways they hadn’t before. Pretty soon, we may have been saddened to hear that they were fully immersed in the lifestyle of their new friends and were perhaps even enticing others to join in their exploits. I once heard of a Christian band who began to play in bars and clubs as a ministry outlet. While this in and of itself would have been perfectly acceptable — and a Christian witness is most needed in places where the church often can’t be found — the bar scene began to have an influence on this band. Pretty soon members were rumored to be smoking marijuana, drinking heavily at parties and using foul language. The Christian music group members claimed that they were adopting these behaviors in order to be hip enough to be an influence in traditionally non-Christian environments. However, it was clear that the environments these youngsters were spending their time in were having more of an influence on them than they were having on their environments. The Bible is very clear about how Christians should appear to non-Christians. It doesn’t say we are to blend in so that we can make others more comfortable. No! Not only here but other places in Scripture urge us to live differently and not allow ourselves to adopt the customs of the world we find ourselves in. If we aren’t careful about the individuals and environments we allow to affect us, we may gradually fall into a lifestyle of living that we never set out to be part of to begin with. 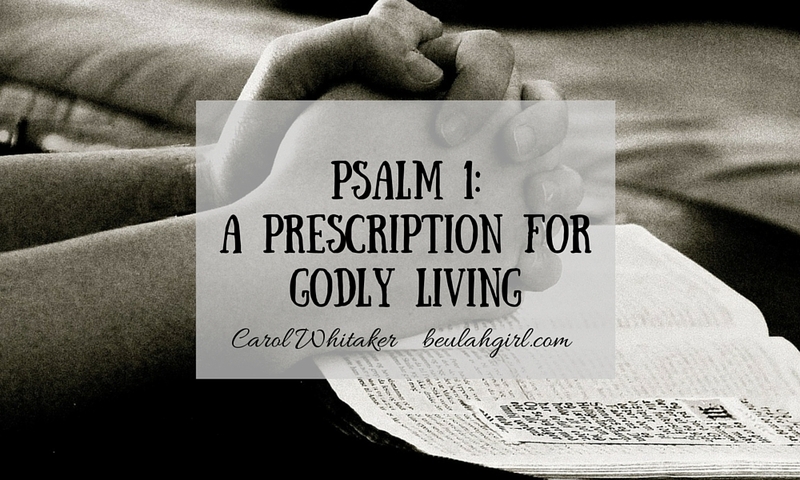 We should heed the warning in the psalm and know that this descent into evil may be very subtle — starting with simply taking some bad advice and ending with being fully immersed in a wrong lifestyle. We would do well to watch what we are allowing to infiltrate our thoughts and impact our actions. In this part of the psalm, the language shifts away from the negative description of the godly given earlier to a positive description of the godly person. We learn that the godly person is someone who not only avoids the unwise counsel and company of evil sinners, the godly person is someone who is fixed on something better: his “delight” is in the meditation and commands of the Lord. Rather than allow the schemes and wisdom of the ungodly to flood his mind, the godly man fills His mind with the things of God so that He knows which direction to go and what plans to make. And, as many commentators point out, the godly man is not one who never sins or makes a poor choice. The godly man, however, does not persist in poor choices. He corrects himself rather than continue in his downward spiral — and the antidote against poor decisions is constantly learning and meditating on the laws of God. He loves to learn God’s ways because God’s ways bring Him security, peace and joy. That reality should be a comfort to us as we’re reading this because we’ve all done things we shouldn’t have as Christians — and there have been times that I can trace how one poor choice has led to more bad decisions in a season. However, I don’t believe the intent of this psalm is to present an unattainable standard of living. Rather, it urges us to consider that we as individuals have a free will. We have a say in whom we allow to speak in our lives and what actions we engage in. Therefore, if I were teaching once again and discussing with students a conclusion I might come up with in regards to these few lines of verse, I would say this: We all have a choice. Yes, God is grieved when I sin and has the laws He does because He has holy standards — but ultimately, as I heard one pastor say once, all of God’s laws are love. 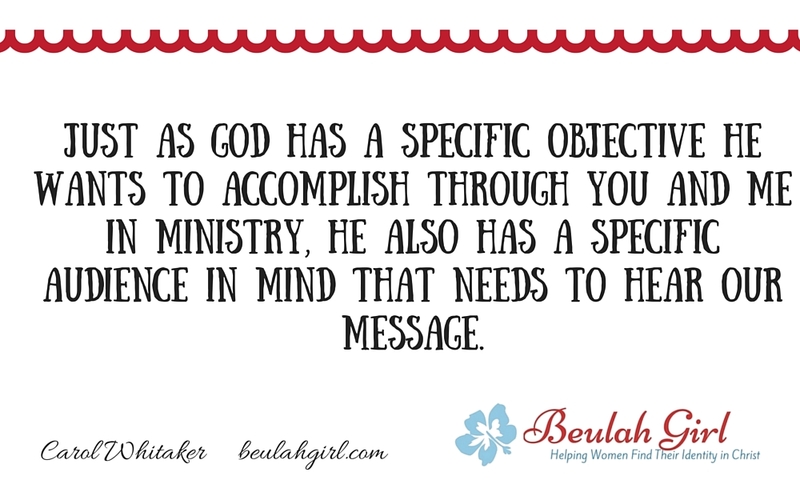 He gives me the mandates in His Word not to simply wield His power over me, but so that I can experience peace and stability in my life by learning His Word and abiding by it. As laid out in this psalm, the difference between the godly and ungodly is simple: godly people choose God and trust His ways over the world’s! Subscribe for our blab chat on the topic of godly living or watch the replay!